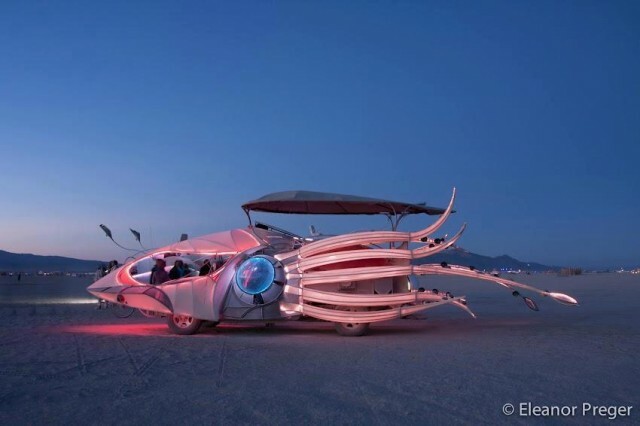 SquidCar is a tentacular squid art car that features an LED lighting system for near cuttlefish quality color shifting (video). SquidCar is a companion (or nemesis?) 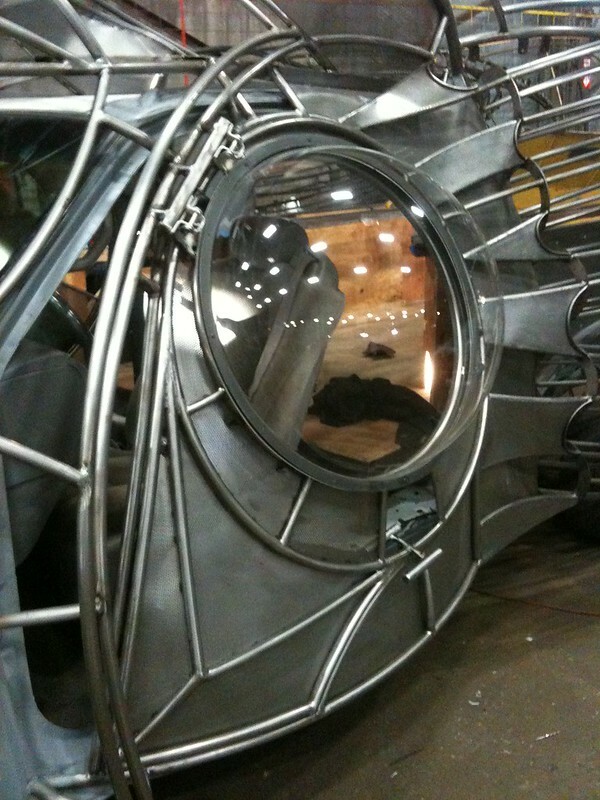 to The Nautilus submarine art car. SquidCar was built this summer by San Francisco Bay Area artist Ryon Gesink in collaboration with Sean Orlando of Engineered Artworks.